These are synthetically derived monomers of highly purified nylon material used for scalp implantation. 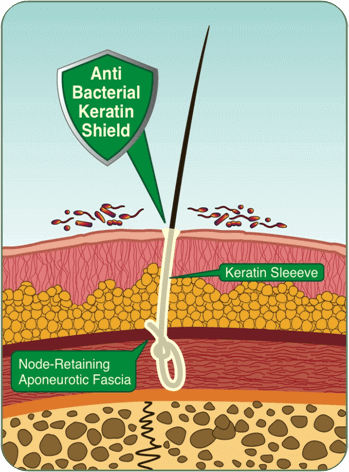 Artificial hair implant is an Aesthetic medicine procedure recommended for generalised Hair Thinning, Androgenetic Alopecia (baldness), Scarring alopecia, to improve Hair Thickening obtained with other techniques and whenever an immediate Aesthetic result is required. We prefer hair transplantation by patient’s own hair wherever possible because synthetic/artificial hair run a risk of rejection in some cases. 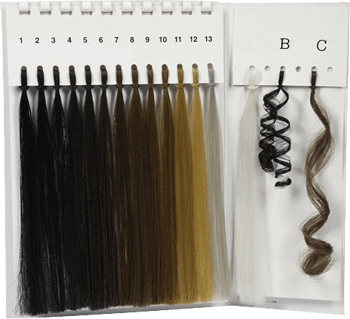 Biocompatible Artificial Hair are undetectable to natural hair and they can meet any colour, length (from 15 to 45 cm) and shape (straight, wavy and curly) requirement. These are synthetically derived monomers of highly purified nylon material used for scalp implantation. Biocompatible Artificial Hair are undetectable to natural hair and they can meet any colour, length (from 15 to 45 cm) and shape (straight, wavy and curly) requirement. Artificial Hair Implant is a simple, minimally invasive aesthetic surgery procedure performed by special Implanters that hooks the Biofibre Reversible knot and inserts the hair one by one under the anaesthetised scalp without any pain or discomfort for the patient until the desired hair density is obtained. Initial allergy testing is done to know the compatibility in individual. Test patch of 25-30 fibers are generally implanted in crown area. The response to reaction due to fibres is judged after 3 weeks to know its sensitivity.only 1-10 % of population have the risk of getting these allergic reactions in the form of redness , itching, and rejection of biofibres. in that case removal or extraction of the fibres is done. In one session generally we implant 500 to 1000 biofibres in selected area of baldness. Its durability in implanted area is 2 to 3years.however initial shedding of fibres up to 10% is noticed in a few of the patients. If the number of fibers required is more than 1000, then it is divided in 2 to 3 sessions with each session of up to 1000 biofibers. They are fragile in its uptake in initial stage for 7 days. Their longevity is for only 2 to 3 years. Regular follow up and cleaning of crusts is necessary to increase its longevity. Further Implant Sessions are performed after 3 – 4 weeks on the same area of the scalp and after 1-2 weeks on different area. The immediate post-implant treatment includes local and general antibiotic treatment for 5-6 days. Moreover the patient is recommended to treat hair with care, avoiding abrupt manoeuvres so as to prevent freshly implanted hair to move to the surface (complete adhesion of hair requires 20/30 days). They never grow in length or number. Selected length of fibre as per clients requirement is chosen. Regular washing and combing can be started from 7th day onwards. A minority of patients may experience mild swelling in the forehead area for a few days following surgery which goes away in 3–4 days. It's done under the effect of local anesthesia. It takes only 2 hours for 500 fibers and 3 hours for 1000 fibres. The patient can get back to his routine on the same day. Since it's made artificially and have hypoallergenic nature, it comes at a cost which varies based on quality & length. At DERMACLINIX we charge 125rs/hair fiber. Is repeated biofibre implantation harmful? Patients can refill the lost fibres to maintain their outlook. In most cases with careful selection it can be repeated without any problems.